Two of my favorite iOS music app developers have song contests underway and I’ve entered both. There are a number of firsts involved with both entries: I’ve never entered a song contest before. For KORG’s app Gadget, the song contest is to remix one of their in-app example songs. 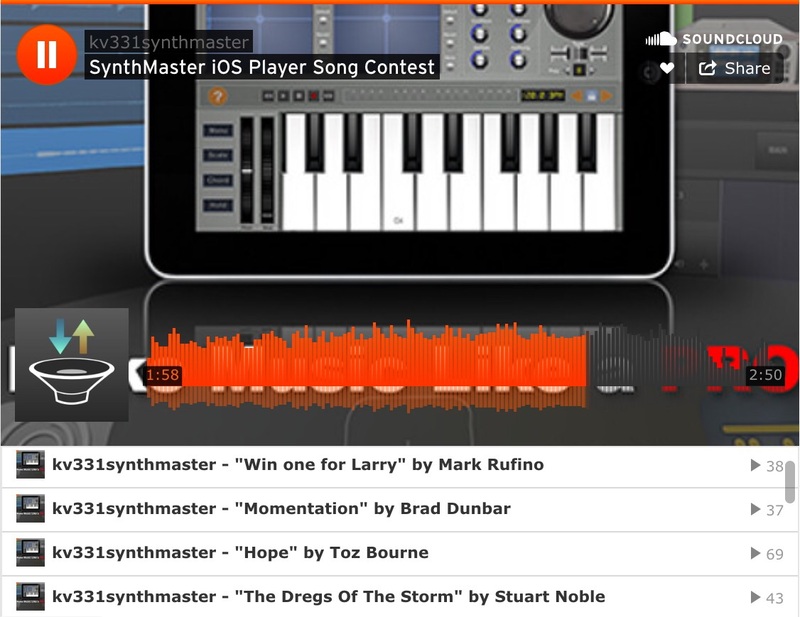 From KV331Audio, we have the SynthMaster Player app and their contest is for an original song that features sounds from their brilliant app.